1) What sparked your interest in your field? When did your interest in STEM begin? At the age of nine, my family and I moved from Bulgaria to the Dominican Republic. The first year was very tough, specially adjusting to a new school in a new country, with new classmates, a new culture and a completely different language from my native one. At the beginning, my new classmates and teachers used to make fun of me during reading class, as I was not at their level, but little did they know that the Bulgarian alphabet was completely different (of course, I took the time to show them that). What I found is that I excelled in math class, as numbers are a universal language, and there my appreciation, connection and interest for math sparked. My job responsibilities are varied and they can change from time to time. Currently I oversee the Administration for JetBlue’s International Region to ensure understanding of policies and ensure consistency and compliance with them by keeping tabs on everything and everyone and serving as a liaison between the airport leaders and the internal departments. Some daily functions include, but are not limited to reviewing financial documents from various Internationals stations, working on budget variances, invoice payments, contract negotiations, payroll, reviewing expenses reports, analyzing financial data to identify trends to help make informed decisions, attending conference calls, collaborating on reviewing policies and making necessary changes as the business evolves. Using Excel to organize, pull, present and analyze data, is essential in my current role. I would be unable to pin this to one woman. My life is full of inspiring women from my mother, grandmother, sister, aunts, friends, peers, colleagues, to the lady (I have not yet met) sitting next to me on my next flight; they all inspire me and have something to teach me, that will help me grow as a person. At times, we tend to create our own biggest obstacle by inducing self-doubt or letting others affect us, making us doubt ourselves. I do not really like to spend energy on the negative. Therefore, as long as I have overcome it, it no longer represents an obstacle and it is time to let go and move on. I would say some major milestones have been, while working; obtaining a CPA degree and completing a Master’s degree in Math, while being the only none Math Teacher (none Math bachelor degree student) in the class and earning the respect of the teachers and classmates throughout the duration of the degree. Recently, I was able to graduate from a Bachelor’s degree in Liberal Arts from Thomas Edison State University, thanks to the JetBlue Scholars program. I am certain I will keep studying more in the years to come; there is still so much to learn. Stop limiting yourself, do not be afraid to pursue math, physics, astrophysics or science, find a way to study abroad and dig deeper into those unanswered questions of life and the universe. 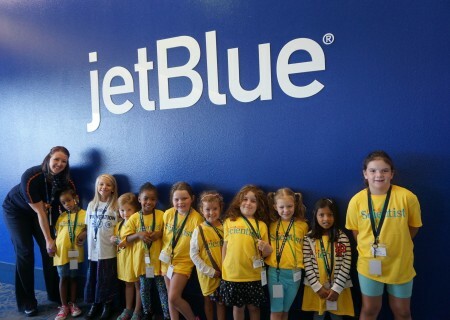 7) How has JetBlue affected you / the work that you do? 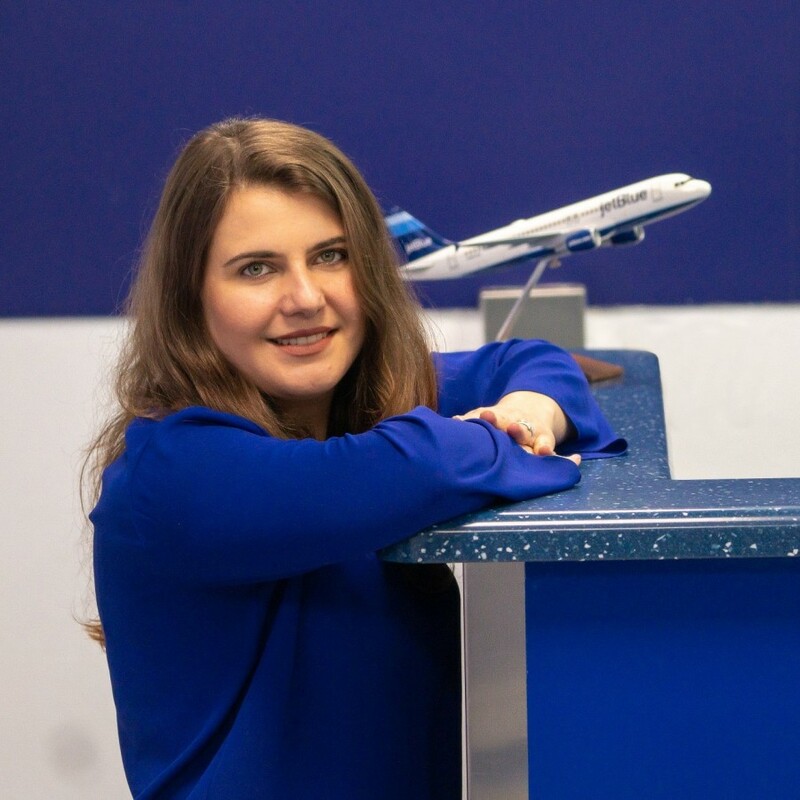 My path at JetBlue has been instrumental in shaping my personal, professional and analytical skills, as well as developing new skills. Learning to navigate times of change and keeping a strong positive problem solving mindset, in a quick-paced environment has been key. 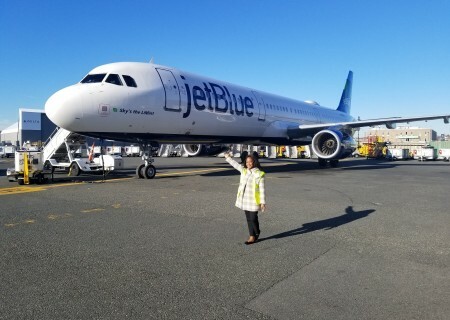 The team at JetBlue has been a great motivation for me to always seek ways to improve myself professionally and as a person, and give my best every day, as well as being able to stop, recognize and accept when I have failed to do so, and work on correcting my course. 8) What advice do you have for someone who wants to be in your role or STEM career field? As cliché as it may sound; be curious, be bold and ask many questions, there is much more left out there to be discovered and explained. Believe in yourself, it is all a matter of mindset. Women were only allowed to attended colleges in the 1800s, much later than men were. I am happy to see we are quickly catching up and there are more women in the field representing us and influencing lives. We still have a long way to go, but I am certain we will get there. 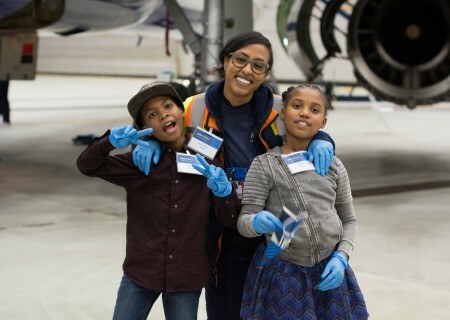 Girls have to know pursuing an interest in STEM is a possibility for them, and they should be excited to the opportunities of this marvelous field. Many women with great minds preceded us, and there are still great minds yet to be discovered. The possibilities are limitless.